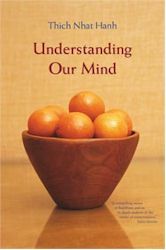 This profound look at Buddhist psychology offers important insights into how Buddhism's ancient teachings apply to the modern world. Basing his work on the writings of the great fifth-century Buddhist master Vasubandhu and the teachings of the Avatamsaka Sutra, Thich Nhat Hanh focuses on the direct experience of recognizing the true nature of consciousness. Presenting the basic teachings of Buddhist applied psychology, he shows how the mind is like a field, where every kind of seed is planted — seeds of suffering, anger, happiness, and peace. The quality of life, he writes, depends on the quality of the seeds. By learning how to water seeds of joy and transform seeds of suffering, understanding, love, and compassion can flower. Includes a new introduction by Reb Anderson, author of Being Upright.